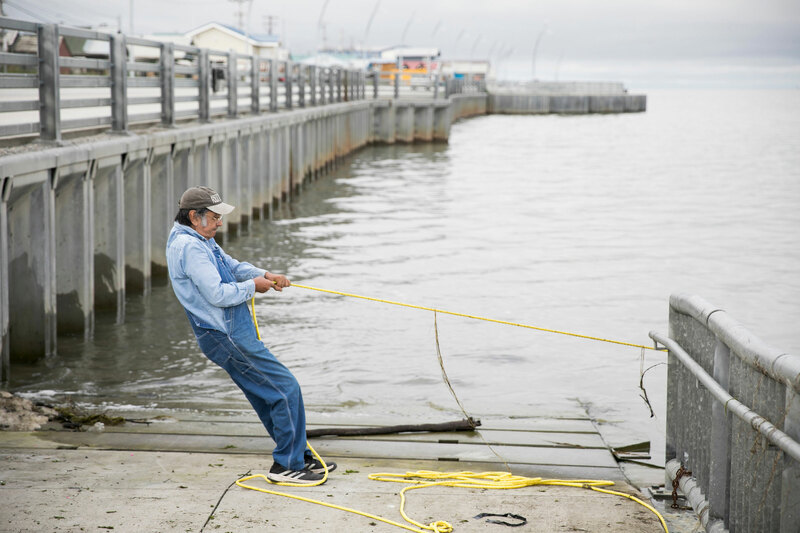 Down at the boat ramp in front of their Kotzebue home, Pete and Polly Schaeffer lean back together and hand over hand, haul in their net. 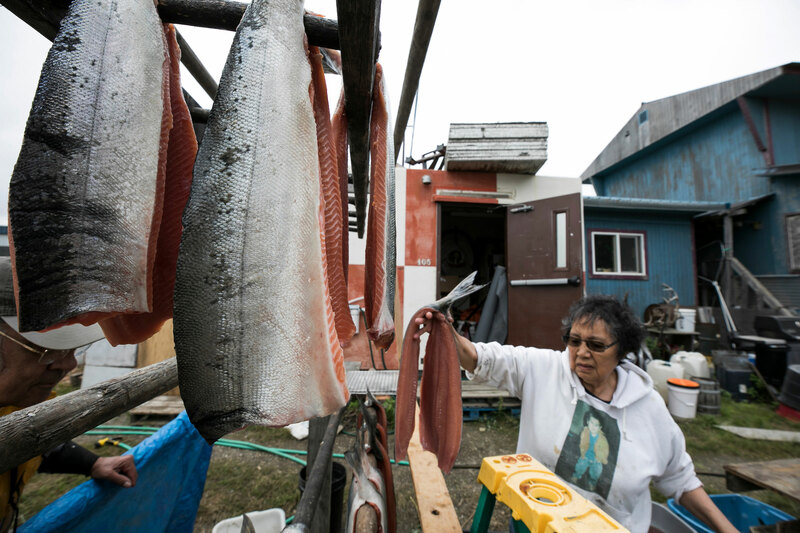 Polly selects five shiny chum salmon from their catch, loads them into a blue bin on the back of her 4-wheeler and takes off for the neighbor’s house. 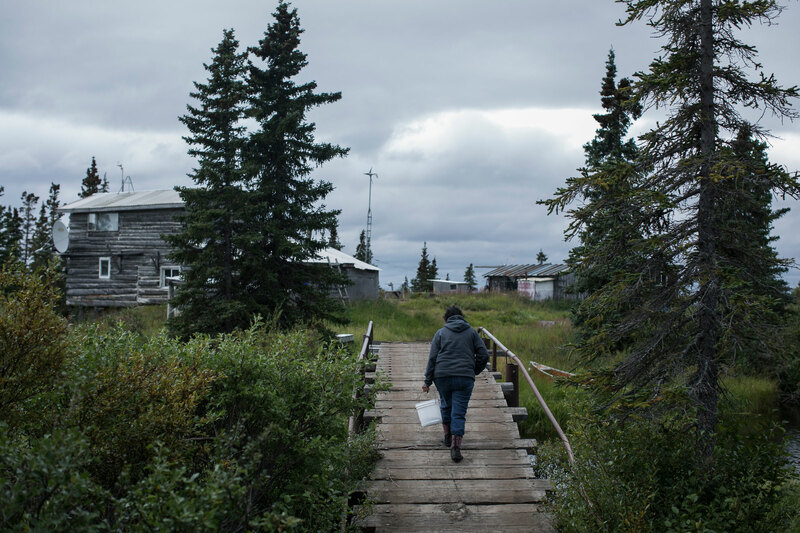 She comes back with a ziplock bag full of large, fresh blueberries, picked in Noorvik. “You give and they give back!” she says. It’s a rhythm Pete and Polly have followed their whole lives. Fishing. Family. Community. Sharing. Respect. 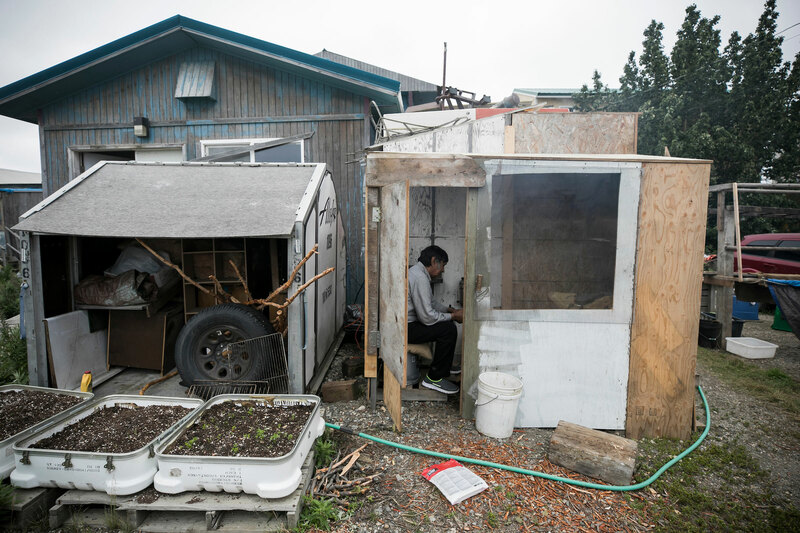 They live in harmony with the natural cycles of their home in the Northwest Arctic. They always have. 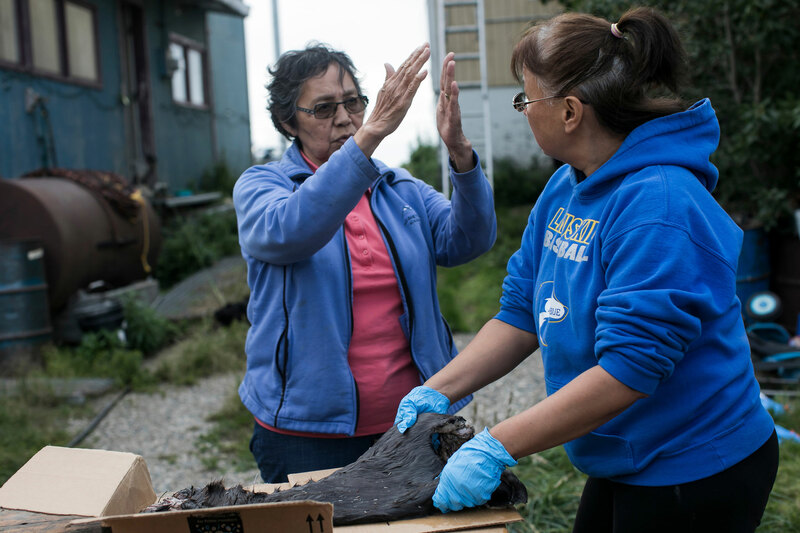 Polly is originally from Noorvik. 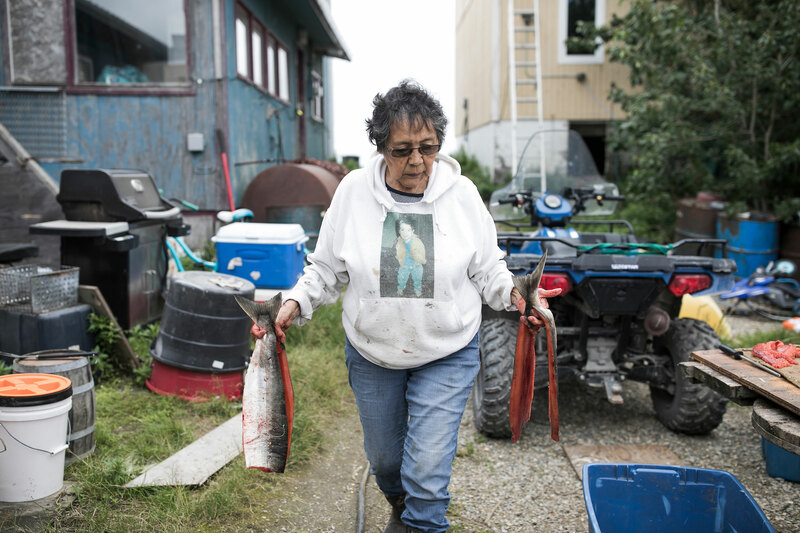 Her childhood summers centered around salmon, when she and her family would move to their summer camp solely to work on fish. 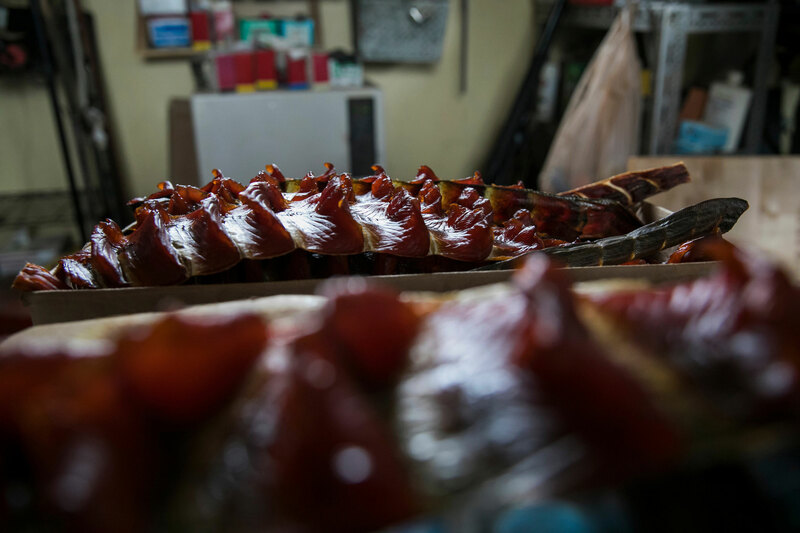 She has been preparing fish, mostly to dry, all her life. 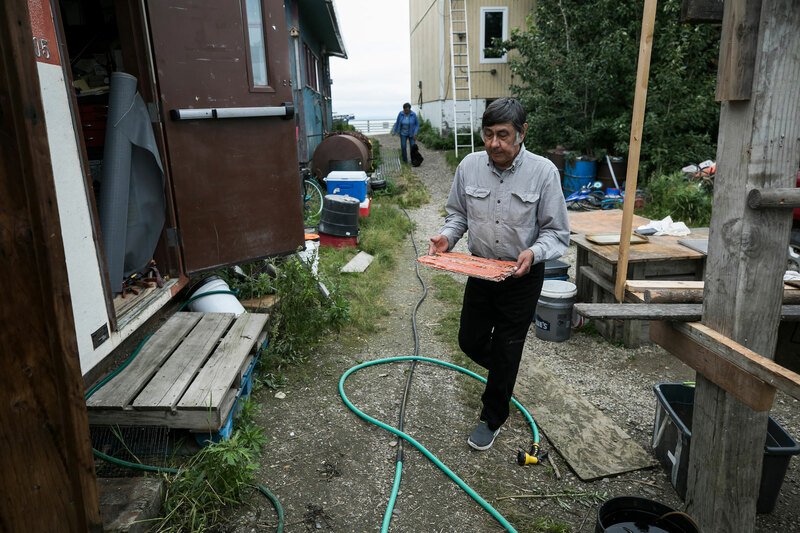 Pete grew up in Kotzebue and at his family’s fish camp, Ivik, located about 30 miles away. 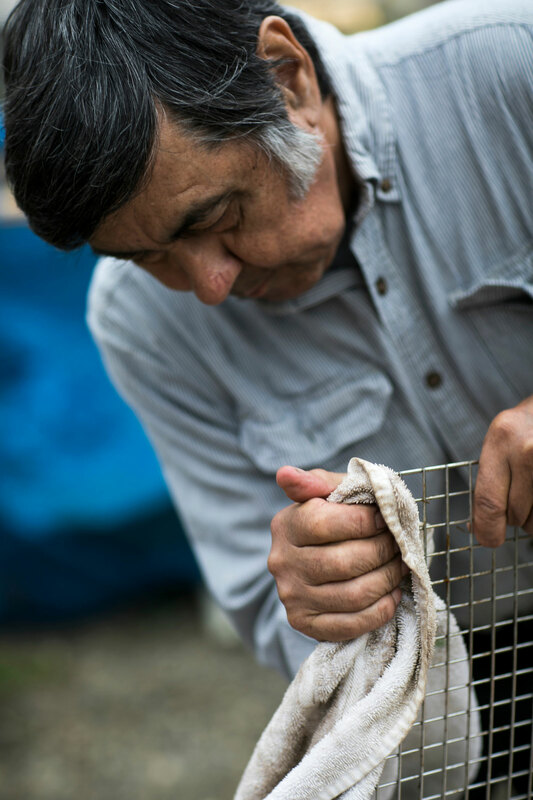 Generations of his family have lived off of this land, relying on salmon to feed them and their dog teams year round. 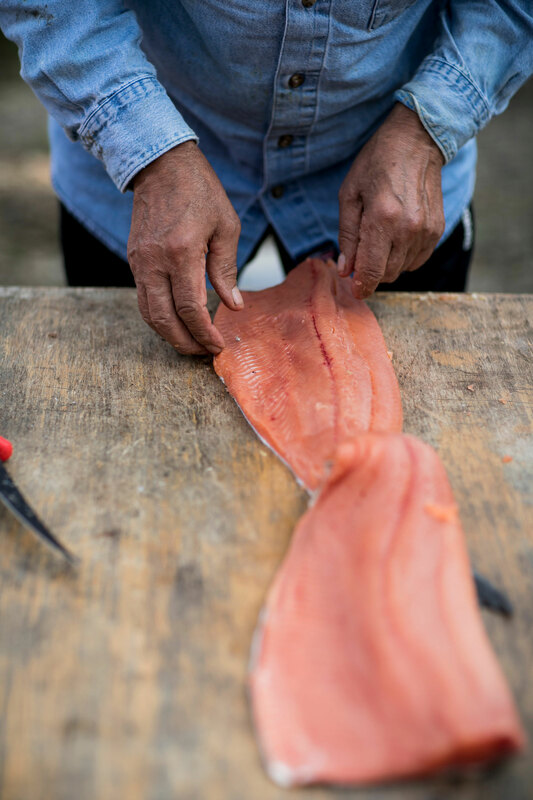 Summers were always spent at Ivik, cutting salmon to dry and to store for winter food. 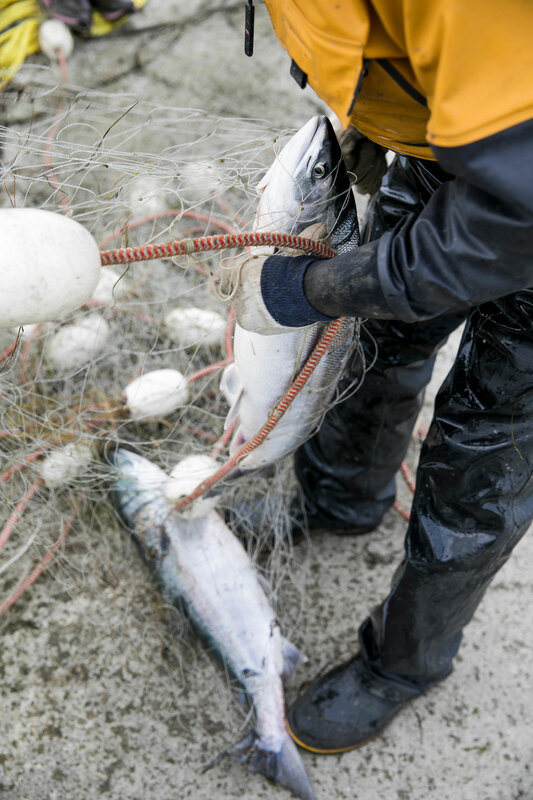 Pete’s own childhood was spent working fish alongside his dad and many brothers. 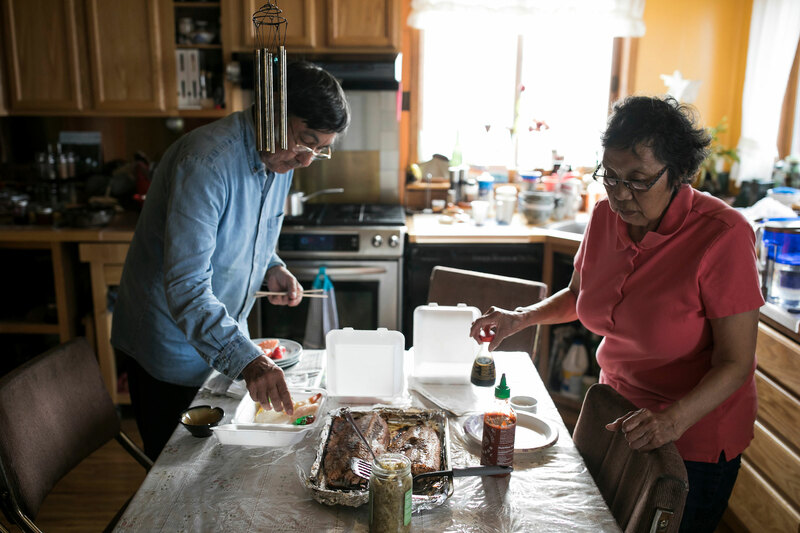 After Pete and Polly married, they moved in next door to Pete’s parents on Front Street in Kotzebue. Over time, a road was paved in front of their house. The beach across the street was tamed with a concrete boat landing. 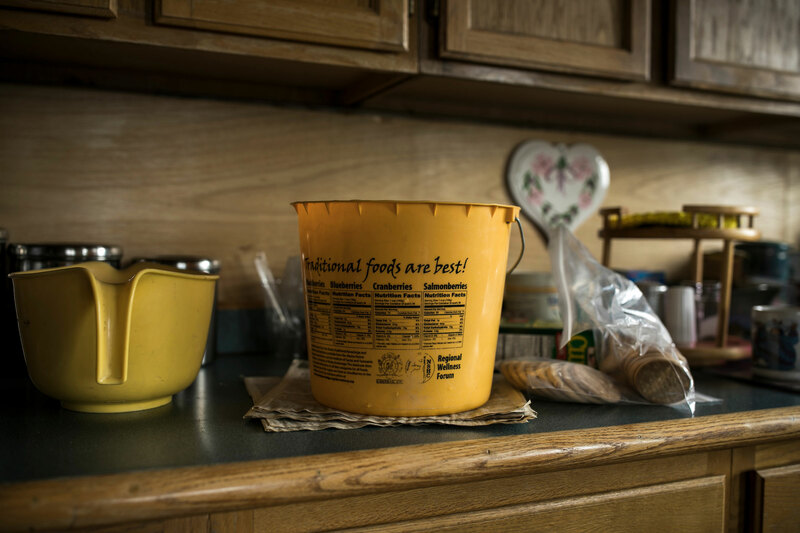 When Pete’s mom retired in 1971, Pete’s parents moved permanently to Ivik, where they lived year round. Eventually, they both passed away and are buried in a graveyard on the hill outside camp. 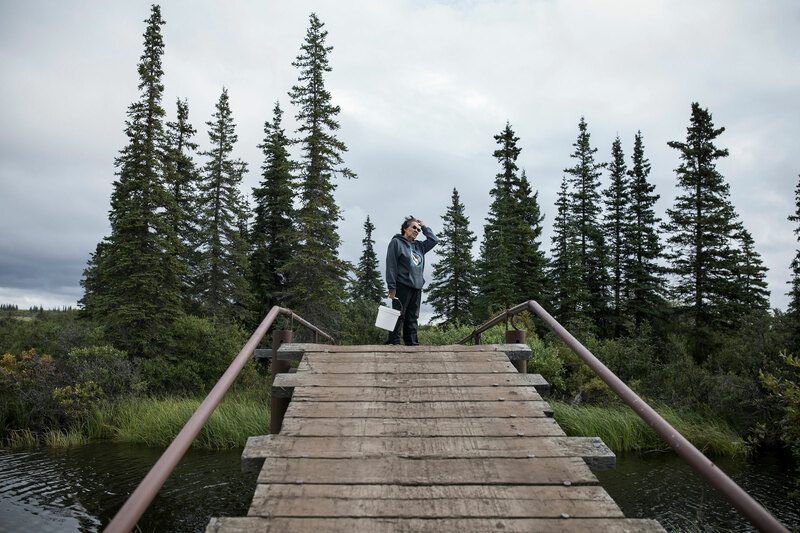 Over the last winter of his dad’s life, Pete put 10,000 miles on his snow machine, riding each day between camp and Kotzebue to check up on his father and to keep him company. The Schaeffers have been married for a long time, and for anyone around them, it’s evident they really love each other and family is everything. 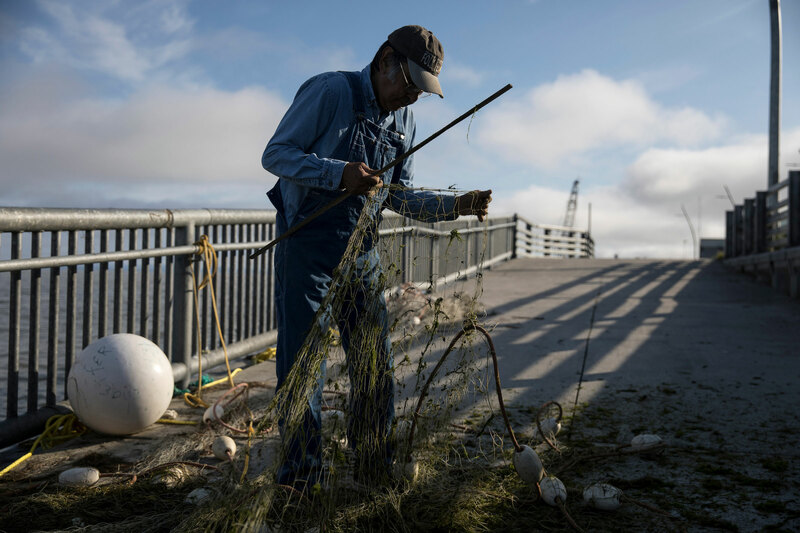 They work in tandem to set, haul and clean their nets, and again to cut, smoke, and can their catch. 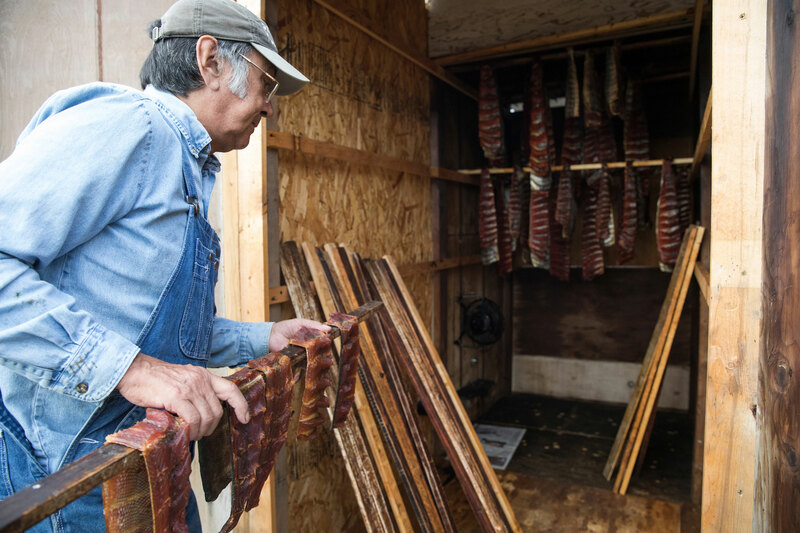 To put up their chum salmon, Pete and Polly use a method they’ve been perfecting their whole marriage. 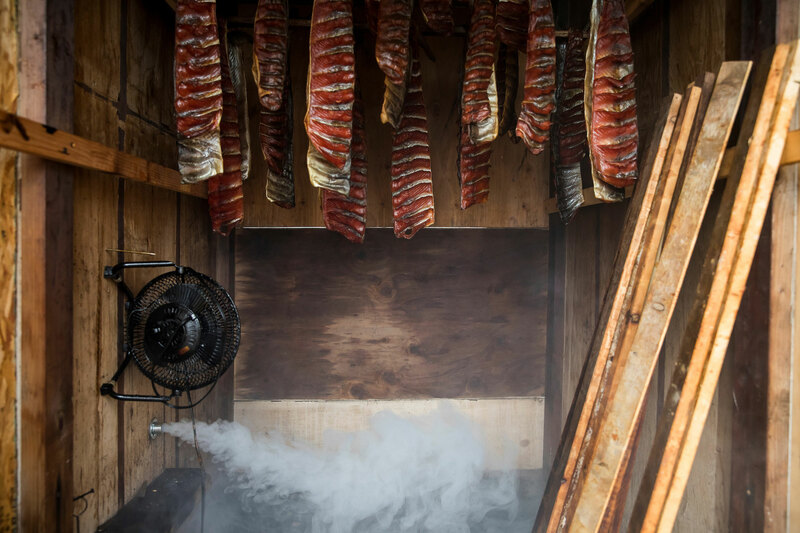 They like to cold smoke the salmon for four days with a little heat so they don’t go sour. Or, if they’re short on time, they hot smoke the fish. Pete likes to take the bark off the alder so it’s not as bitter and strong when smoked. 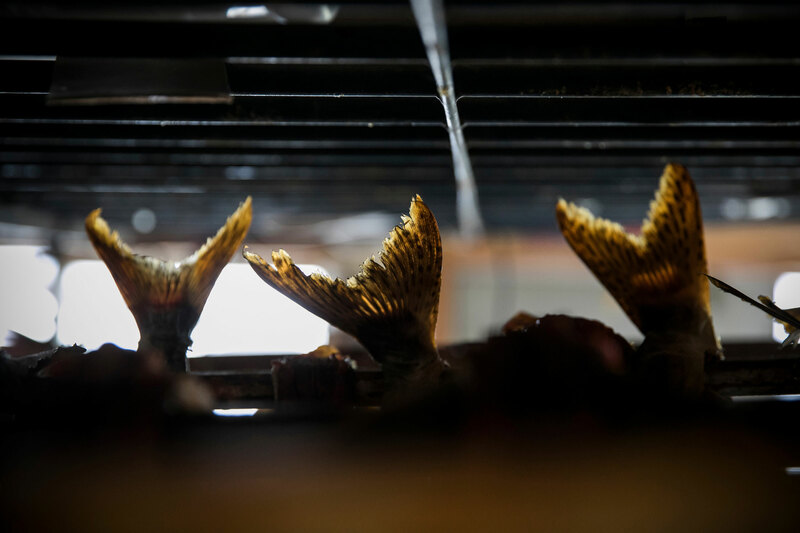 The process has become less urgent these days as there isn’t a dog team to feed all winter and they aren’t as isolated as they were years ago. 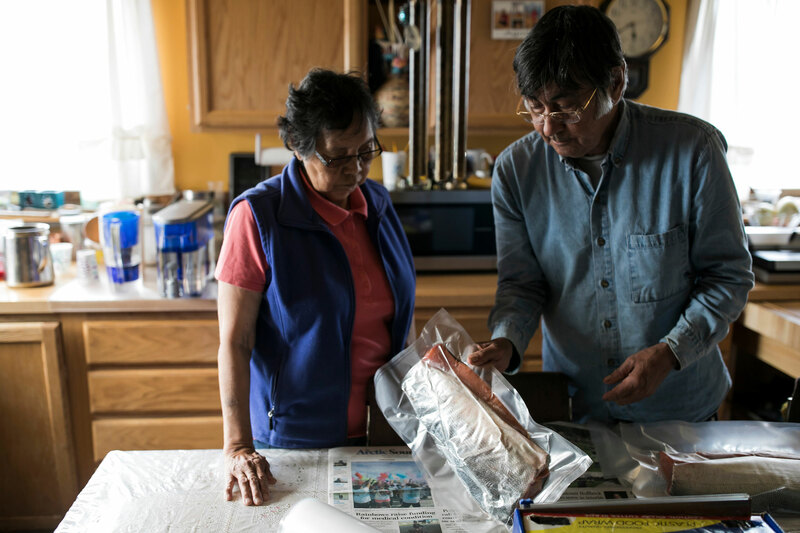 Pete and Polly still walk out of their front door and catch salmon in their same spot. 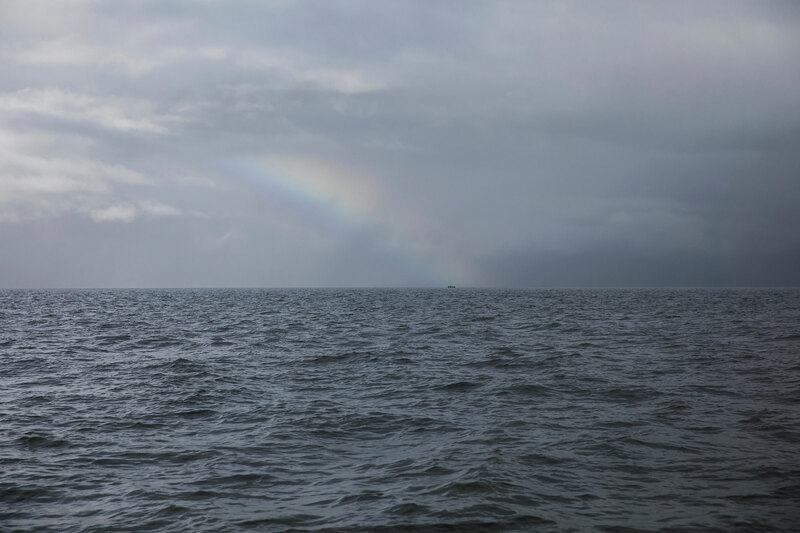 And when the weather’s good, they boat over to their cabin at fish camp—not to fish anymore, but to pick berries, retreat and remember. As they age, they find they prefer to stay at fish camp too. 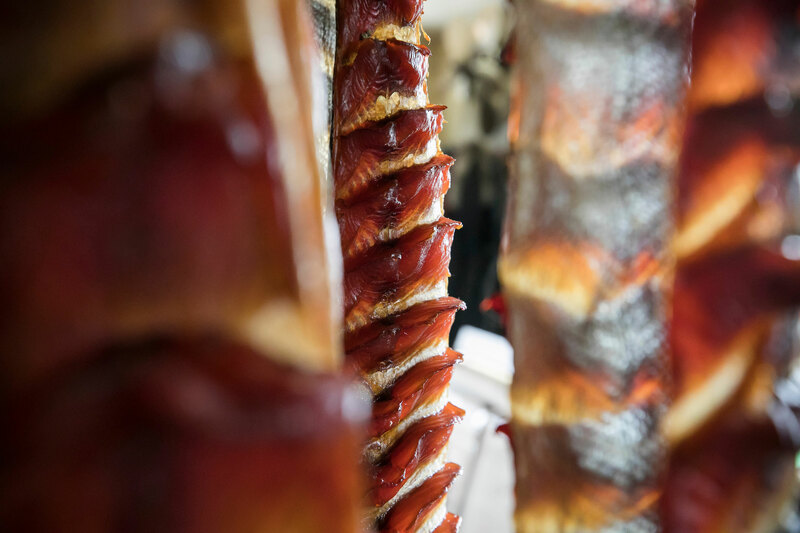 With the ease of experience and the luxury of time, Pete checks on their salmon, hanging in uniform strips on the drying rack. He turns to Polly and takes her hand. Together, they walk back home.